On the day I reported to the US Army Ranger School at Fort Benning, Georgia, I was confronted with perhaps the single greatest challenge of my life to that point. I was beginning the nine week program many have described as the most difficult test of physical and mental resolve they ever encountered. And for all the outstanding training I received during those weeks, I also learned an enormous amount from my Ranger student classmates, none more than from a young Marine lieutenant by the name of Bill McBride. It was clear to me from the very outset of the training that Bill was a natural leader, one whose very presence and actions can say more than words. It was my good fortune to be assigned to the same squad as Bill. It gave me the opportunity to observe closely how a natural leader handles any situation that comes their way. I knew somehow that in spite of the difficulty of Ranger training, I had an advantage in being able to observe close-up a young leader from whom I could learn even more than what I received from Ranger training alone. It was no surprise to me when Bill was selected as Ranger Class 2-70 Distinguished Honor Graduate. The art of leadership for me has always been challenging. And that is probably the principle reason I was fascinated by Bill's apparently effortless yet uncompromising approach. William Howard McBride, Jr. was born in Belleville, Illinois and grew up in Leesburg, Florida. Right from the start Bill's leadership was evident. 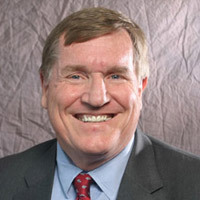 During his college years Bill McBride served as treasurer of Florida Blue Key, the student honor and service society of the University of Florida from which he graduated in 1967. He was also inducted into the University of Florida Hall of Fame. Following graduation Bill McBride served in the United States Marine Corps from 1968 to 1971. At the Marine Corps Basic School, Bill graduated on top of his 250-man class and also received the leadership award. Bill served with distinction in Vietnam. He was awarded a Bronze Star with a Valor device. Upon his return to the United States, he taught at the Officer Candidates School at Marine Corps Base Quantico. After leaving the USMC he attended the University of Florida Law School and later went on to a distinguished career in law. He was soon recognized for his ability and advanced quickly, eventually becoming a partner in a well- known Tampa, Florida law firm. Bill passed away suddenly on 22 Dec 2012 while vacationing with his family near Mt. Airy, NC. He left behind his wife of 26 years, Alex Sink; his son, William Albert "Bert" McBride; his daughter, Lexi McBride Crawford and her husband Douglas, as well as his mother, sister, and brother. Eternal rest grant unto him, O Lord, and let perpetual light shine upon him. And may his soul and all the souls of the faithful departed, through the mercy of God, rest in peace. Amen.